When retaining a lawyer to represent you for any type of family law issue — be it divorce, adoption or a protective order — you need an attorney who is skilled and diligent as well as personable and accessible. 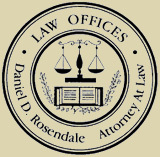 At the Maryland Law Offices of Daniel D. Rosendale, we pride ourselves on our skilled representation from a real-world perspective. Our lead attorney, Daniel D. Rosendale, spent many years in the working world before becoming a Centreville family law attorney, so he understands where our clients are coming from, and he is accessible. 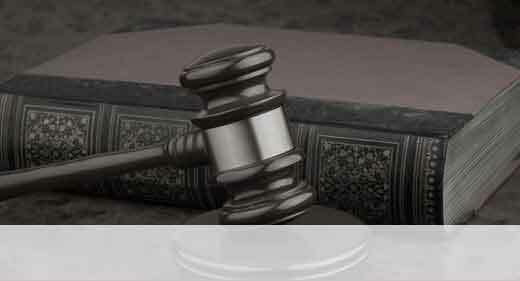 We also take family law cases on appeal. Regardless of whether or not we handled the initial trial, we excel at cutting out the unnecessary details to provide cost-effective, quality appellate representation. We make sure to keep our clients well-informed about their cases. We always give our clients reasonable expectations from the beginning, rather than give them unreasonable hopes that are sure to disappoint in the long run. We get our clients from Point A to Point B as quickly and effectively as we can, minimizing the hassle on our clients’ personal lives. We offer free consultations. Either call our office or send us an e-mail to learn more. The Centreville, Maryland, Law Offices of Daniel D. Rosendale serves Eastern Shore, Mid-Shore, Lower-Shore and Delmarva Peninsula clients in the cities of Centreville, Chestertown, Denton, Easton, Cambridge, Salisbury and Annapolis, as well as Queen Anne's County, Kent County, Talbot County, Caroline County, Dorchester County, Wicomico County and Anne Arundel consultationy, Maryland.